GFTRADE announced Exclusive Promotion offer 50% Deposit Bonus with maximum of $10000. 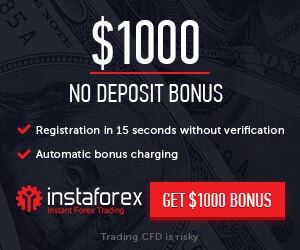 While depositing to trading account with a convenient for you payment option, you can choose the percentage that you would like to add to your deposit amount 50% in the Get Bonus box. Promotion offer : 50% Deposit Bonus. Step 1 : Deposit fund into your trading account. Step 2 : Once logged in, go to ‘My Tickets’ page and inquire about deposit bonus. Step 3 : Deposit bonus will be deposited into your ‘Credits’ in your MT4.